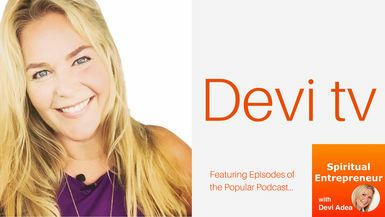 In this episode, Devi chats with Flavia Berys about Lifestyle Solopreneurship for the Spiritual Entrepreneur. Flavia is the host of the Lifestyle Solopreneur Podcast, an attorney, law professor, author, real estate investor, and founder of several online academies. During this conversation, Flavia shares powerful tools, mindset shifts, and tactical insights that will help you to be highly successful in creating your lifestyle business, as a Spiritual Entrepreneur. Should you quit your day job to become an entrepreneur? Flavia Berys is an attorney, law professor, author, real estate investor, and founder of several online academies. She’s also the host of the LIFESTYLE SOLOPRENEUR podcast, the community for entrepreneurs who put lifestyle first! She's been featured in major media including BBC World News, the Wall Street Journal, the New York Post, ESPN television, Cosmopolitan Magazine, Inside Edition and other major media. Here’s another fun fact: She’s also a former NFL Cheerleader and founder of the Pro Cheer Life online community. Flavia is a recovering workaholic who once worked for one of the largest global law firms, involved in large-scale legal matters for Fortune 500 companies and other high-profile clients worldwide. But other than that stint as a 90-hours-per-week lawyer in Silicon Valley, she has always been an entrepreneur and loves helping other entrepreneurs build businesses that complement their life and create balance. She feels supremely blessed to be able to combine work with play.